Be rewarded with a voucher worth $40* per Dell™ PowerEdge™ server! Dell™ and Intel® are excited to announce the launch of the Dell™ Volume Server Boost (VSB) Program for Q1FY20! 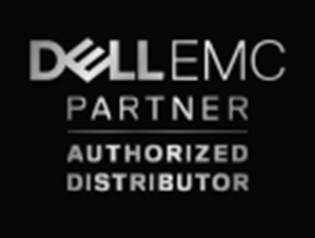 This program will reward your extremely valuable efforts in selling Dell™ PowerEdge™ servers, powered by Intel® Xeon® processors. Are available for every Dell™ PowerEdge™ 14G 2-socket server with Intel Xeon® Silver 4108 and higher processors purchased from Aptec – an Ingram Micro company between March 3th 2018 and April 19th 2019 for Q1FY20. * Please see the Reward-CPU model scheme below. · The purchases made between March 3th 2019 and April 19th 2019 will be eligible for rewards in Q1FY20. · The total available rewards are limited and this program is valid only while stocks last and until program budget is depleted. · The rewards will be allocated on First come First Served basis, based on invoice dates. · Incentives are NOT cash rebates, are NOT cash discounts. · Dell and Aptec – an Ingram Micro company keep the right to make any changes in the program, without any prior notification. · Payouts will be done in the form of up-front discounts.